Military life is no doubt stressful for parents, but have you ever wondered how it affects children? 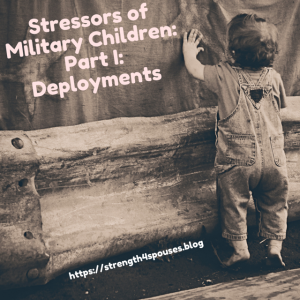 In this three-part series, we will be taking a deeper look into the stresses of military life, how they impact kids, and strategies to help children cope and heal. Disclaimer: This is a sponsored post on behalf of Stress Health, an initiative of the Center for Youth Wellness, to spread the message about the important issue of toxic stress in children. However, opinions expressed are my own. It’s important to recognize the signs of stress in children due to the long separation from the deployed parent. As the U.S. Department of Veterans Affairs points out, “Very young children may exhibit separation anxiety, temper tantrums, and changes in eating habits. School-age children may experience a decline in academic performance, and have mood changes or physical complaints. Adolescents may become angry and act out, or withdraw and show signs of apathy.” Have you noticed any of these signs in your children? How do you help them cope? 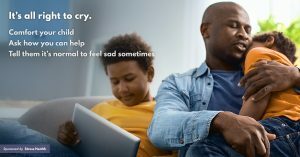 The Center for Youth Wellness provides many resources for Stress Health in children and strategies to help parents and children learn coping skills. One thing you can do to help your child through the stress of a deployment is to acknowledge your child’s feelings. This is a great way to understand the stress your child may be under. Another strategy is to involve them in creative activities to remember the deployed parent. Make cards, create a care package, or record a video to send overseas. In addition, make sure routines are consistent. Having a predictable routine can minimize stress in all children and most especially during a deployment. 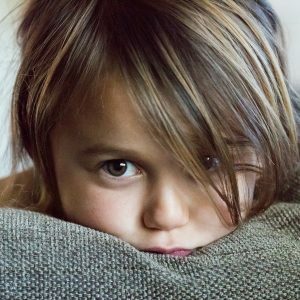 Children need that sense of security during the unknown that a deployment can bring, so routines are crucial to minimizing stress and anxiety. For more activities to help children cope with deployments, click here. If you would like more information on toxic stress and ACEs (Adverse Childhood Experiences), visit Stress Health. It is never too late to start reviewing stress factors that can affect your child’s health in the long-term. Deployments are just one of the many stress-inducing situations in military life, but with appropriate support, children will persevere. American Psychological Association Presidential Task Force on Military Deployment Services for Youth. Families and Service Members. (2007). The Psychological Needs of U. S. Military Service. Members and Their Families: A Preliminary Report. Washington, D. C.: American Psychological Association.